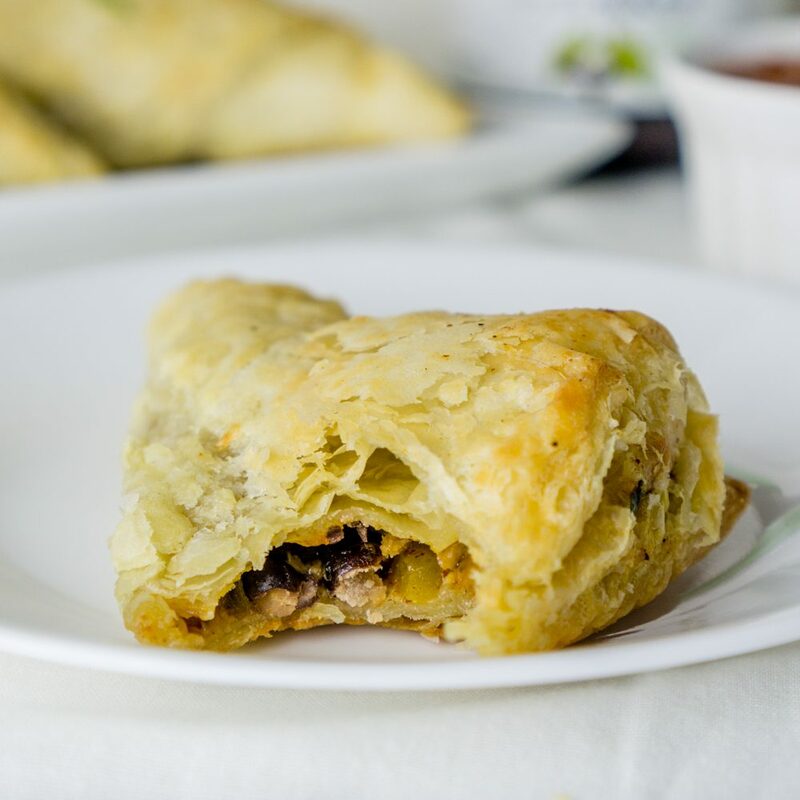 Black Bean Puff Pastry Triangles are the perfect after-school snack! Preheat oven to 400F. Spray a large baking sheet with non-stick spray. Remove the puff pastry sheets from the freezer and allow to thaw while preparing the black bean mixture. In a large bowl, combine the black beans, diced bell pepper, chili powder, chopped cilantro leaves, and shredded cheese. Mix well. On a large clean surface, unfold the thawed puff pastry. Cut each 9-inch puff pastry square into quarters to make a total of 8 puff pastry squares about 4 ½ inch each. Place about 2 tablespoons of the bean mixture in the center of each puff pastry square (do not over-stuff!). Fold each square in half to make a triangle and pinch the sides together taking care to not get any bean mixture onto the edges of the triangles. Use a fork to press down on the edges and seal the puff pastry triangles. Gently place the puff pastry triangles onto the greased baking sheet and bake for 12-15 minutes at 400F, or until the puff pastry triangles are golden brown and flaky on top. Remove from heat and allow to cool 5-10 minutes before serving. Serve warm with your favorite dip, such as salsa, guacamole, or sour cream.